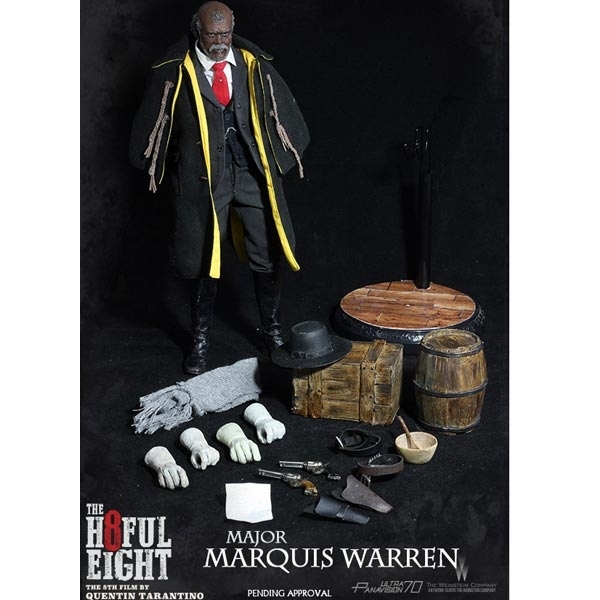 • Authentic and detailed super real likeness of Major Marquis Warren from The Hateful 8 movie. • AsmusToys KP01A+ slim male body. • Approximately 31 cm tall. • Over 36 points of articulation. 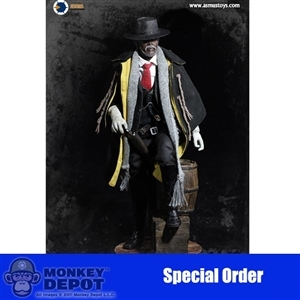 • An authentic likeness of the actor from the film. • One pair of relaxed posture gloved hand. • One pair of weapon holding gloved hand. • One pair of straight pants. • One wooden bowl and spoon. • One Asmus Toys figure stand. • One display base of Asmus.